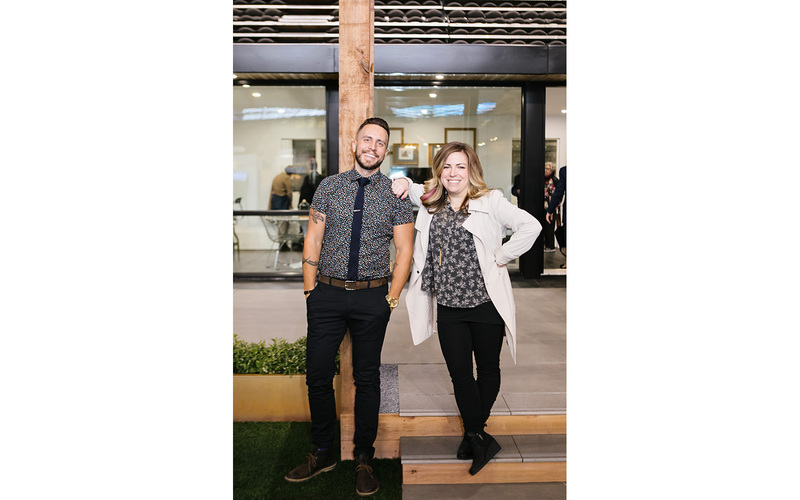 We were thrilled to be invited back to design the feature home at the 2017 BC Home and Garden show for the second year running. We kicked things off with a live walkthrough with Jonny Staub; what a great way to start the show! 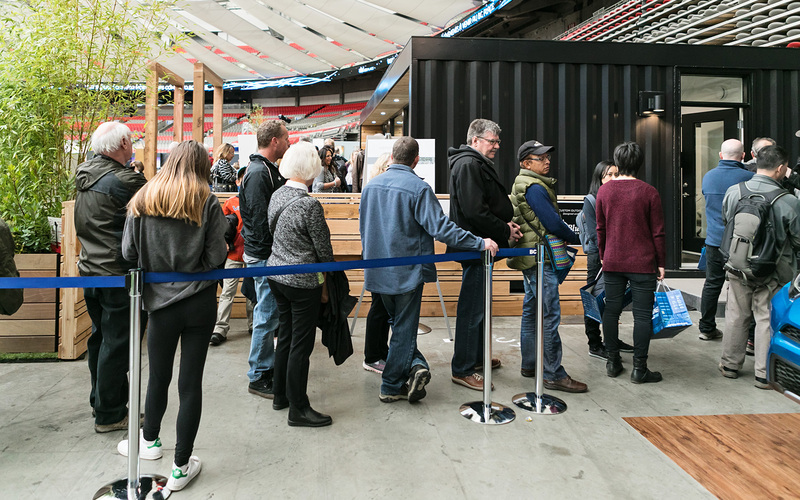 An estimated 60,000 people braved long lineups to attend the show and tour the stunning 704 sq. ft container home by Honomobo. These modular homes can be easily stacked or relocated as needed, and homeowners have nearly endless applications and beautiful – while practical – design, with all the mod cons tucked into a compact space. 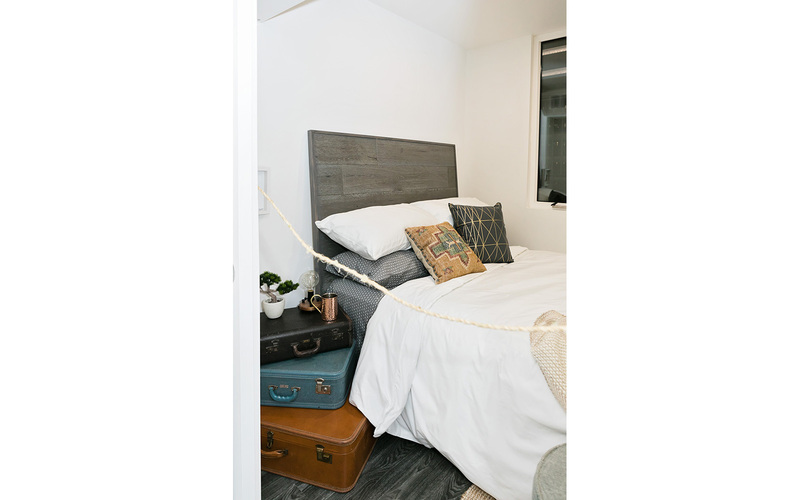 It’s a concept that elevates small-space living to a whole new level with environmentally friendly designs and efficient construction timelines. 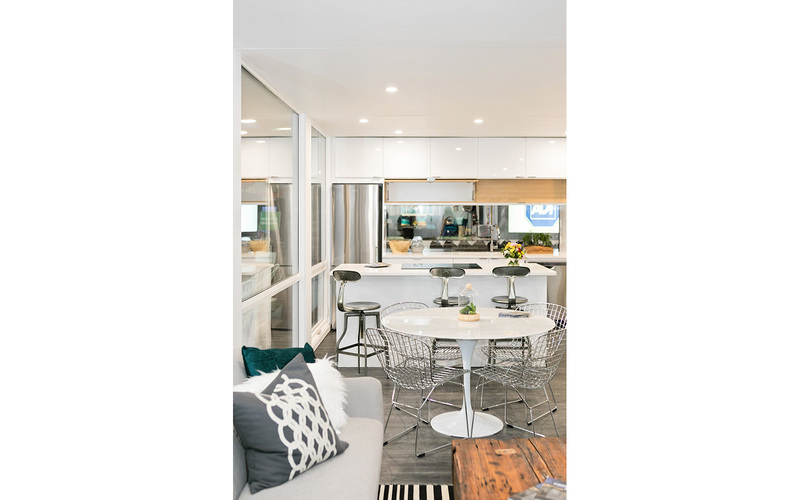 Our interior design concept personalized the space, adding warmth and comfort while making a compact space feel airy. 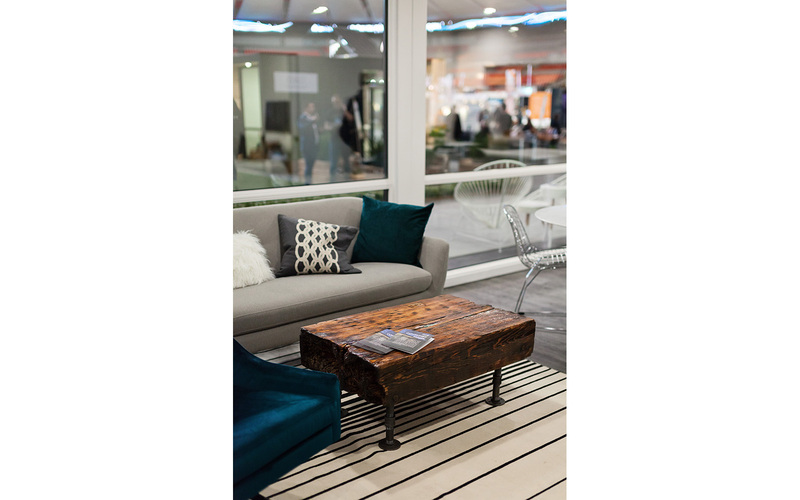 We were also excited to be able to debut the gorgeous throw cushions we created in collaboration with Joue Design. We thought they looked quite fabulous in one of the bedrooms in the feature home.